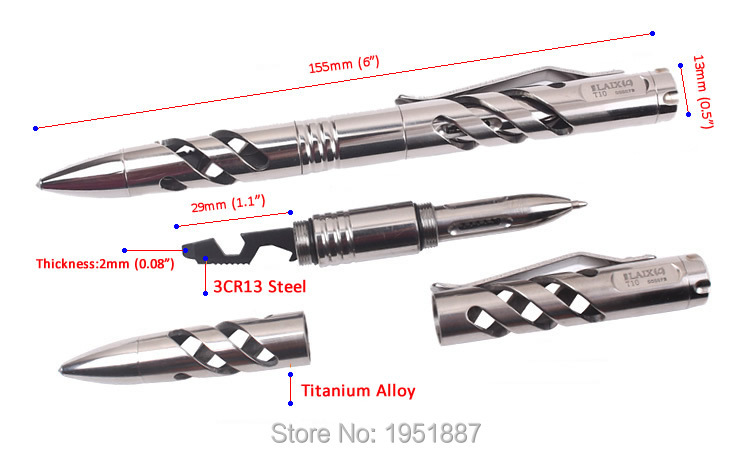 This item is a portable tactical self-defense pen, it can be used as a useful tool for self defense or emergency glass breaker. 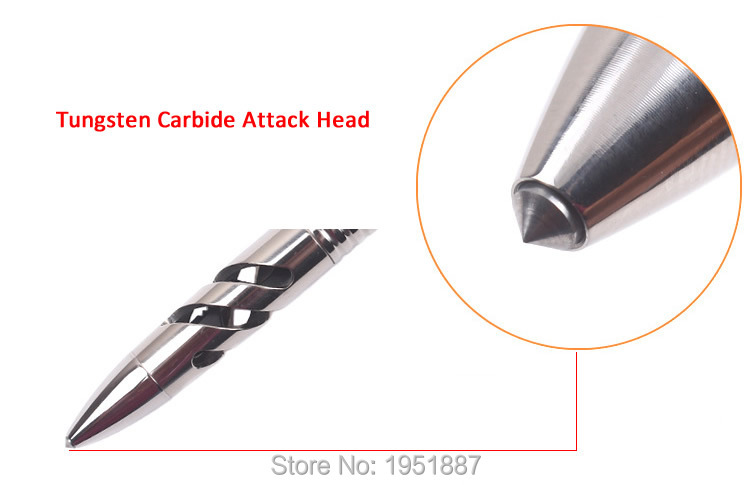 High quality titanium alloy body and tungsten carbide head makes it more durable and practical. It adopts hollow design and mirror polished surface treatment, which looks more fashionable. It also comes with a gift box and 2 more pen refills, wonderful pen for self use or gift. Note: If you need more pen refills for this pen, you can buy at this link. it is kind of material that contain a mixture of titanium and other chemical elements. Such alloys have very high tensile strength and toughness (even at extreme temperatures). They are light in weight, have extraordinary corrosion resistance and the ability to withstand extreme temperatures. It adopts CNC processing with high accuracy and 4 Times mirror polished surface treatment make it has nice appearance. 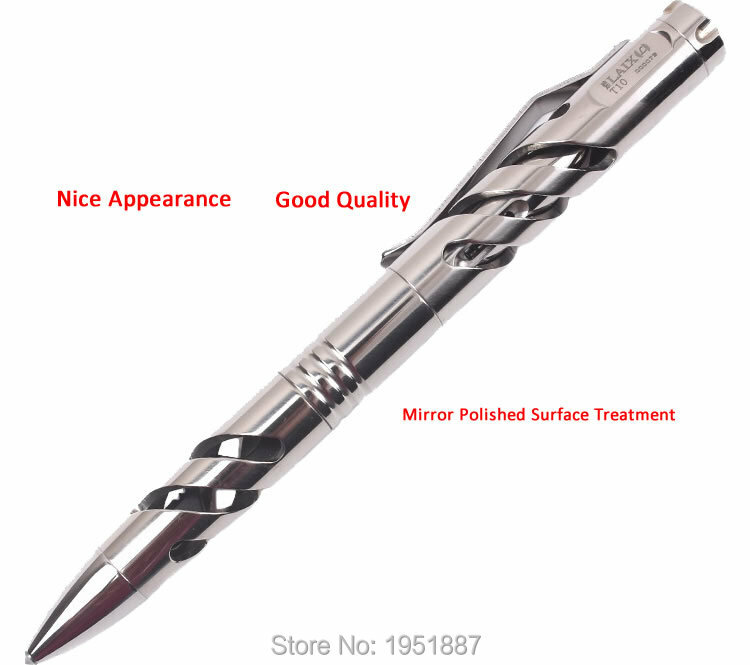 The pen body adopts hollow design, which can keep the strength of pen, but reduce the weight. This makes it more portable and pratical, looks more beautiful. It is a wonderful design. Tungsten carbide is extremely hard, it can withstand extreme temperatures, which is widely used in cutting tools for machining, mining, ammunition, jewelry etc. With this attack head, you can use it as a glass breaker, self defense tool when emergency occurs. 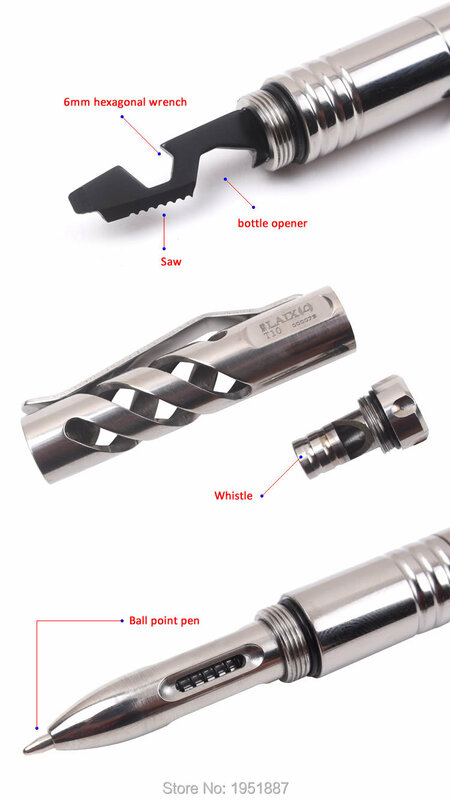 There are multi tools hidden in the pen container, 6mm hexagonal wrench, saw, bottle opener. It is not just a tactical pen, but also a useful tool. 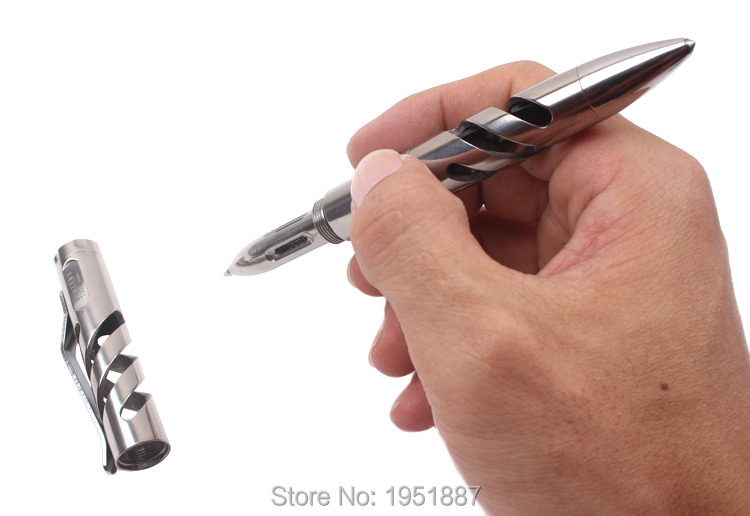 Except the multi-function mentioned above, it is a pen actually with smooth writing. 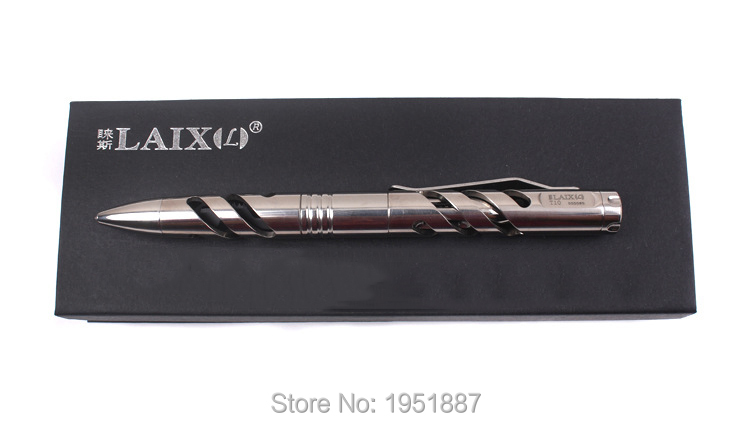 It has nice appearance and it is a nice looking pen, you can take it anywhere, even for business. It is absolutely a high-end pen. 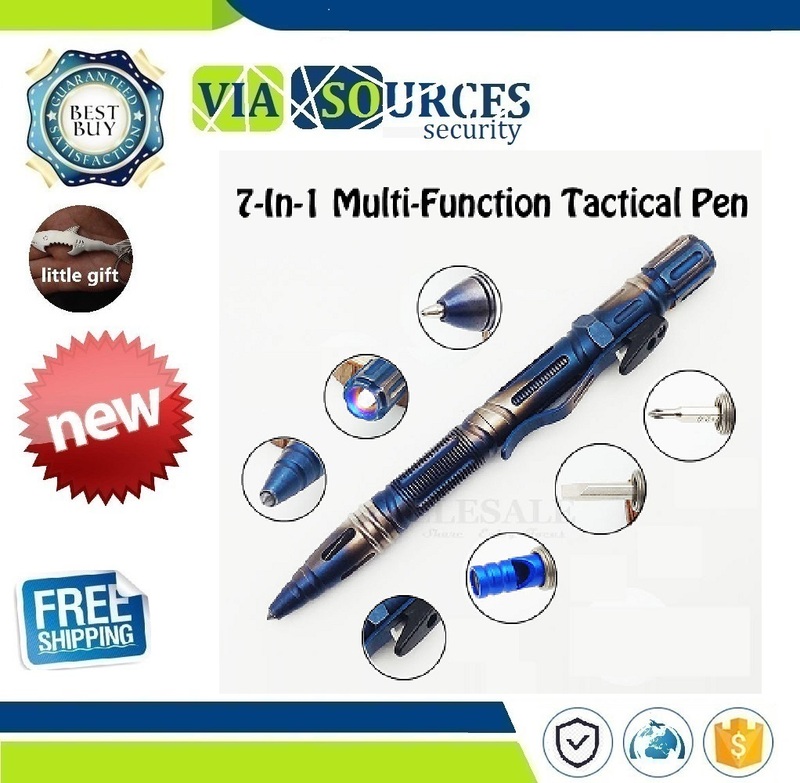 It also comes with nice looking gift box, it is a nice tactical pen for self use or wonderful gift for friends, family, teachers.